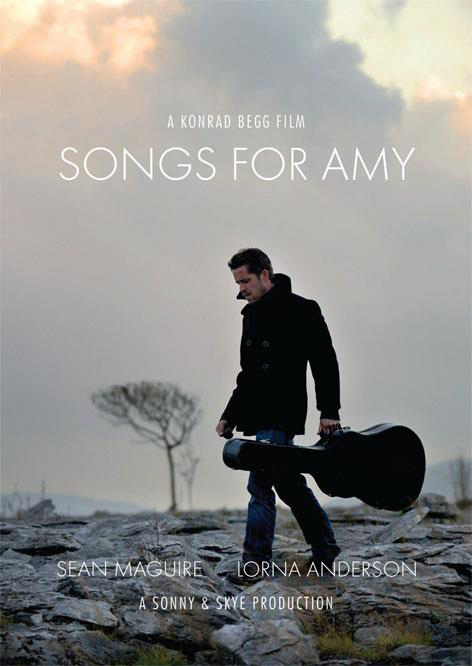 Songs for Amy, is an independent Irish film directed by Konrad Begg and written by Fiona Graham and filmed in the gorgeous backdrop of Galway, Ireland and New York, NY. It’s a touching but romantic comedy that I reviewed last October 2013 during the Hollywood Film Festival 2013. It was the Winner of the Newport Beach Film Festival in 2012 and it just previewed in the Boston Irish Film Festival. The cast includes Sean Maguire (Once Upon A Time, LA Blues) and Lorna Anderson (Mausam, Silent Witness); the talented ensemble cast are joined by the band-mates Barry Ward (Jimmy’s Hall), Ross Mac Mahon (Hatch) and Ford Kiernan (Still Game, Gangs of New York) with Kevin Ryan (Crossbones) in the role of pop icon, ‘JJ’. The film also features Olwyn Boyle (Desperate Houses), Gavin Mitchell (You Instead), James Cosmo (Brave Heart, Game of Thrones) and Patrick Bergin (Sleeping with the Enemy). Hell-raising rock band, Alabama 3, play themselves. This is an awesome independent film that has partnered with Traverse Media who has just announced details of its release in Ireland and has also launched a crowd-funding campaign to help bring the film to a worldwide audience. Here’s your chance to get in on the ground floor of the promotion of this great film by giving your support to the Indiegogo campaign which will enable people to buy exclusive products associated with the film; everything from a limited edition t-shirt, to a limited vinyl of the soundtrack, special edition DVDs, meet and greet with the cast, location tours, to the actual van from the film. All the proceeds from this campaign enable them to bring the film to cinemas across Ireland, New York, LA and probably London (and hopefully beyond in UK). Comments for Songs For Amy Release News are now closed.